Mandatory Lawton Orientation: All new Lawton scholars must attend this event. 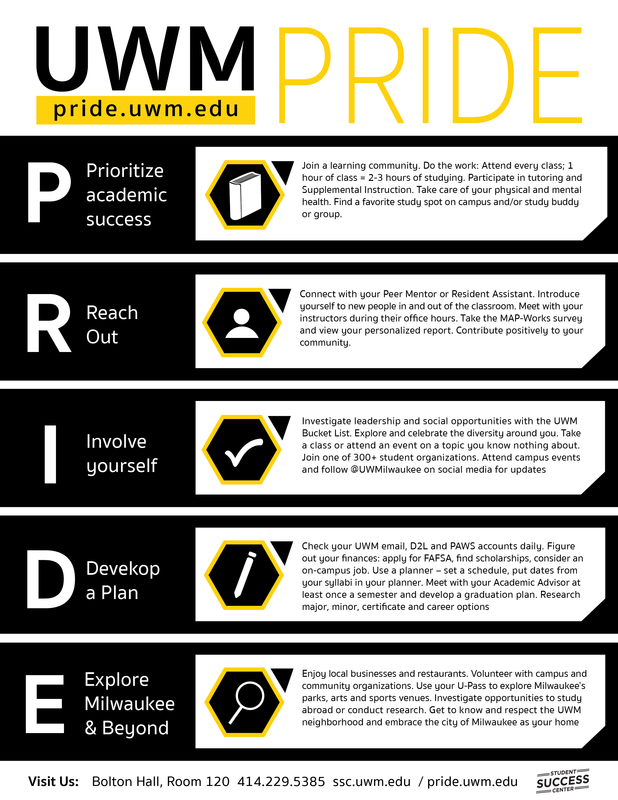 If you cannot attend, please notify us as soon as possible by emailing uwmlawton@uwm.edu. Lawton Success Advocate Meetings: All sophomores and juniors are required to meet with their success advocates by October 12, 2018. Please contact your assigned advocate for more information about meetings. Academic Advisor Meeting: All scholars are required to meet with an academic advisor once per semester. This meeting needs to be completed by November 2, 2018 by 5:00 pm. 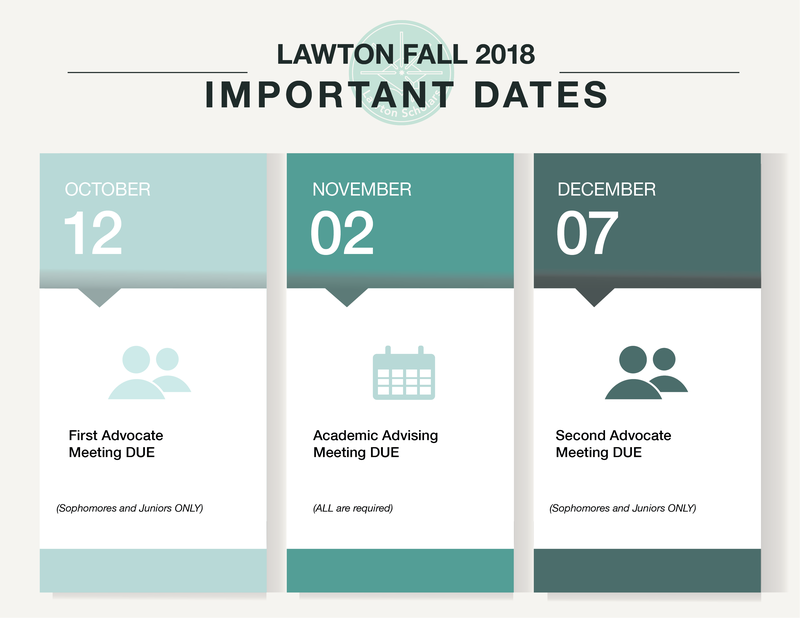 Lawton Success Advocate Meeting 2: All sophomores and juniors are required to meet with their success advocates a second time by December 7, 2018. Please contact your assigned advocate for more information about meetings. Note: As of January 2017, Lawton is no longer accepting the academic advising form. All advising notes related to Lawton must be enter into the Student Success Collaborative system (SSC) by the advisor.